Considering that we live in an era populated by remakes and reboots – especially in the horror genre – you really have to tip your hat to the Child’s Play franchise, which, for the most part, has kept true to the same continuity all these years. Sure, there were a few tongue-in-cheek detours that remain cult favorites, but to not completely start from scratch with recent installments is indeed an extreme rarity these days. I guess you could say 2013’s Curse of Chucky was a clean slate of sorts, but it returned the franchise to its roots, a trend we saw as continuing with the freshly dropped first trailer for Cult of Chucky. As exciting as that was, today we’re offered an even deeper look at Don Mancini’s twisted vision via a red band preview, which can be viewed up above. 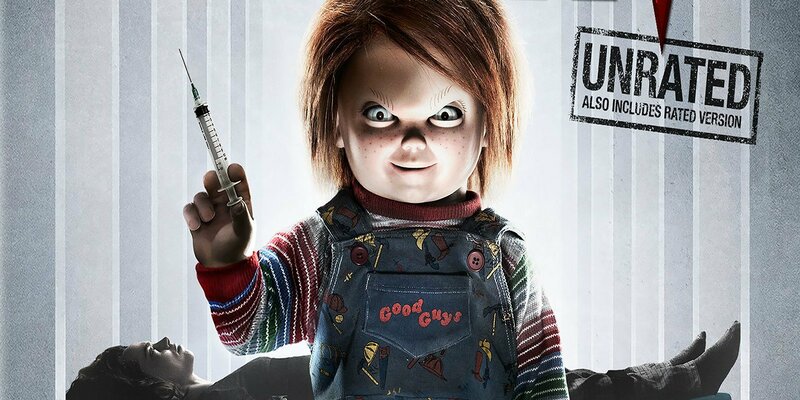 Aside from getting Brad Dourif to once again voice the titular character, the filmmakers managed to pull off yet another coup by having Alex Vincent reprising his childhood role of Andy Barclay, something else you don’t see often in Hollywood. Suffice it to say, this is not the Vacation series that has recast the Griswold kids ad infinitum. Anyway, the footage provided quickly establishes that we’re following the events of the previous film – four years later, to be exact. As it so happens, Nica Pierce (Fiona Dourif) finds herself residing in a mental institution following the murder of her family and – get this – a psychiatrist is using a Good Guy doll as a means of therapy. What could possibly go wrong? What’s also noteworthy is that we’re seemingly getting two Chuckys in this movie and, if it’s half as entertaining as seeing two Arnold Schwarzeneggers in the The 6th Day, then we should be in for a real treat. There’s also the fact that Jennifer Tilly’s back as well, though the the breadth of her role isn’t made totally clear. Cult of Chucky is set to arrive on Blu-ray, DVD and Digital Download on October 23.